Cost to install tile flooring varies greatly by region (and even by zip code). Get free estimates from flooring contractors in your city. Cost to install tile flooring varies greatly by region (and even by zip code). Get free estimates from flooring contractors in your city. The average cost of installing tile flooring is $700 - $2,000. How much does it cost to install tile flooring? rcelain, cement, ceramic, terracotta and unglazed. Tile is incredibly durable and can be installed indoors and outdoors and make for a perfect flooring material. Tile floors are popular due to the many benefits they offer, such as durability, variety of options, healthiness, and little maintenance. The average cost to install tile flooring for a 200 sq.ft. area is $700-$2,000. This price includes materials and installation fees. This price varies depending on many factors including the brand, material, type, installation company, etc. Indoor tiles cannot handle frost or direct sunlight. Outdoor tiles can handle these conditions as well as many more. Outdoor tiles should have a texture to their surface to prevent any slipping. Some outdoor tiles have a gritty surface that provides good traction if the tile becomes wet. Outdoor tiles have more of a glaze than indoor tiles. Outdoor tiles must be frost-resistant to withstand the cold conditions of winter. The most common indoor tiles include: ceramic, porcelain, slate 1, and marble. The most common outdoor tiles include: ceramic, stone, porcelain, terracotta, and mosaic. Prices differ between indoor and outdoor tiles. Outdoor tiles typically tend to be more expensive than indoor tiles. Outdoor tiles average in price from $1-$35 per sq.ft. Indoor tiles average in price from $0.50-$16 per sq.ft. Along with having to consider the pattern, color, size, type, and grout 2 of the tile, it is also important to consider the texture of the tile. Whether you choose a textured or smooth tile, this can have a big impact on the performance and look. There is a slight difference in price between smooth and textured tile. You are likely to pay a couple dollars more for textured tile than smooth. This chart compares some of the differences between textured and smooth tiles. The process of taking measurements for a floor will differ depending on the shape of the room. To properly measure a floor that is rectangular or square, you need to determine the room’s length and width. You then multiply the length by the width to get the square footage. For example, a room that is 12 feet wide by 12 feet long will need enough tile for 144 (12x12) square feet. For an area that is circular, take measurements on the floor by using the formula Pi x(diameter/2)^2, where Pi=3.14. This will give you the square footage. For an area that is triangular, you take measurements on the floor by using the formula Area (height) x (length) divided by 2. This will give you the square footage. For an area that is a trapezoid shape, you take measurements for the floor by using the formula (length + weight) divided by 2 times the height. This will give you the square footage. If the subfloor 4 is made out of concrete, then the installation of underlayment 5 is unnecessary. 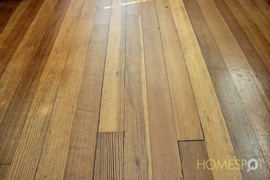 Other types of flooring, such as vinyl 6, do not need to be torn off if they are in good condition. Make sure to never apply the tile directly to the plywood 7 subfloor 4. If replacement or subfloor 4 installation is necessary, you may need to hire a professional carpenter. Tile flooring requires a subfloor 4 that is designed to account for a rigid flooring material which requires no fluctuation or movement. A concrete subfloor 4 or subfloor 4 built with exterior plywood 7 are the best options for underlayment 5 for tile. The average carpenter charges $70 per hour of work and should need 2-3 hours to complete a 200 sq.ft area. To save some money, it is best to remove old flooring before they begin their work. A tile grade is a numerical ranking that reflects the tile quality. The three possible tile grades are listed in the chart below with a simple description and cost range for each. 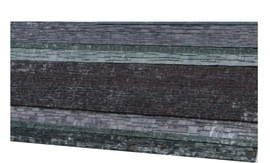 Designed with a thinner tile and is used for walls. These are not allowed on floors. Quality is similar to Grade 1 with slight imperfections. Good for walls or floors. Recommended use for walls or floors. h as black and white. There is not a difference in price between different tile tones. Frost resistant tile is a product family which can withstand freezing/cold winter weather without damage. Packaging for tiles intended for exterior use will indicate whether the tiles are frost resistant or not. If tiles are not frost resistant, they can crack when exposed to cold weather. If tiles are frost resistant, a snowflake will appear on the tile box. Frost resistant tiles range in price from $3-$18 per sq.ft. Another important consideration in purchasing tile is considering its water absorption (W.A.) rate. Expressed on tile packaging as an umbrella shielding rain, the W.A. is calculated by determining the amount of water absorbed by a tile as a percentage of the tile’s weight. In general the more resistant a tile is to water absorption, the more it will cost. The chart below outlines the different classifications of water absorption along with a short description and average cost. 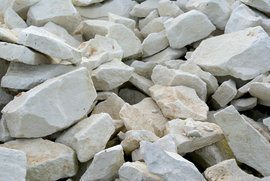 Impervious and vitreous tiles are more expensive than semivitreous and nonvitreous tiles. s denoted by a sliding person icon on the tile box. The range of C.O.F is between 0-1. Lower C.O.Fs indicate less friction, meaning the floor will be more slippery by providing less traction. Higher C.O.Fs indicate more friction, meaning the floor will be less slippery, with higher traction. A C.O.F. greater than 0.5 is recommended for residential application and a C.O.F greater than 0.60 is recommended for commercial applications. There is not a difference in price between different tile C.O.Fs. PEI or Porcelain Enamel Institute Wear Rating is a measure of a tile’s resistance to abrasion. This measure will reflect suitability for floor traffic. The icon used to denote PEI is a bit drilling into a tile, found on tile boxes. Tiles with lower PEI ratings tend to be cheaper by a few dollars compared to tiles with a higher PEI rating. Tiles with a lower PEI range from $1-$6 per sq ft. and tiles with higher PEI ratings average between $2-$8 per sq ft. The chart below shows the difference between the PEI ratings of tiles. Picking the right tile can be very overwhelming with all the different types on the market. There are so many options with different looks and prices. Below are some of the most common types of flooring tiles and their prices. Beyond the appearance of tile, there are more things to consider such as maintenance, cost, durability etc. Marble and porcelain are two very popular materials used in flooring. The chart below indicates the differences between the two types. Surface preparation: the surface will be inspected to make sure it is smooth and dry for the best installation. The carpenter will patch any holes or uneven areas. In this step any trim, molding or appliances that interfere with installation with be removed. Layout: the carpenter will lay out loose tiles from the centerline of the floor to the walls. This will help determine if any tiles need to be cut smaller to fit. 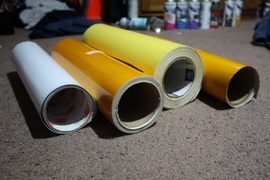 Prep work: an adhesive mix will be created. He/she will place it on the ridged setting bed for the tile. Using a tile cutter, the tile will be cut as needed. Installation: after the surface has been primed, the layout created, the adhesive applied and the tile cut, the carpenter will install the tile. He/she will start in the middle and work their way out in a grid pattern. A twisting motion is used to keep them from sliding. Once the grid is installed a mallet or hammer will be used to ensure they are leveled. The floor will need to set for at least 24 hours before walking on it. Grouting joints: after the tile has set for 24 hours, the carpenter will then grout 2 the floor or fill the joints. He will use a grout 2 float or squeegee to force the grout 2 between the joints,flatten it, and remove any excess. Once the grout 2 is dried, the tile will be cleaned before applying any polish or sealant. Sealing new tile and grout 2 is extremely important to keep it in good shape for many years. Sealers can provide up to 10 years’ protection from discoloration, scratching, wearing, and contaminant build-up. Sealing a tile floor is an additional cost averaging from $0.55-$1.50 per sq.ft. Average sealing jobs take on average 3-4 hours for a 200 sq.ft room. It is important to let the sealant dry (average 24 hours) before coming into contact with the new tiles. If you are replacing old tile, the floor has to be prepared for removal of old flooring. This includes an assessment of the existing subfloor 4. 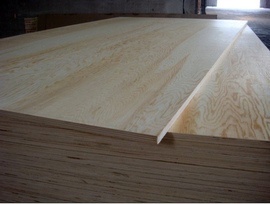 If the subfloor 4 needs to be replaced, this could cost an average of $22 per 4x8 sheet of plywood 7. A carpenter will charge an average of $70 per hour and can get the job done in less than a day. Below is a chart that indicates what type of tile is good based on room type. Travertine Entryways, kitchens, bathrooms, paved patios, and garden paths. Porcelain Kitchens, basements, and bathrooms. Slate 1 Excellent choice for kitchens, bathrooms, and high traffic areas. 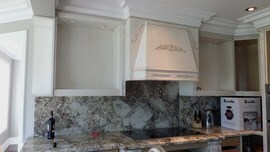 Good for backsplashes 3 and walls. 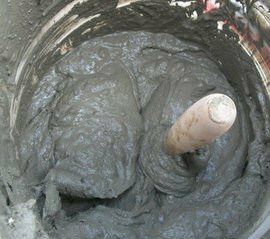 Cement Good for floors, backsplashes 3 and walls. Marble Living rooms and bedrooms. Granite Good for flooring throughout the home. A floating tile floor is an enhancement project that can be completed when installing a tile floor. 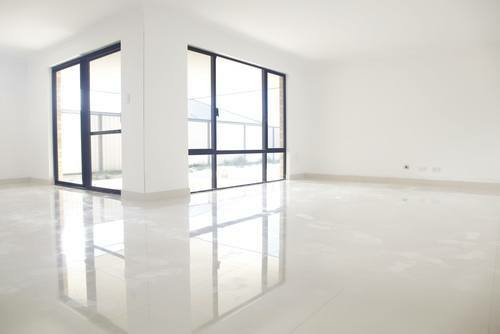 Floating floors are composed of any tile type, whether ceramic, porcelain or glass, and is not attached to the subfloor 4 but attached to itself. Floating floors are becoming extremely popular and have had great reviews. Some benefits to a floating floor include no spacing issues, zero mortering, and a simple plastic tray becomes a base for the tile. A carpenter will charge on average $70-$95 per hour to complete the project. The time it takes to complete the job depends on the size of the room, the type of tile, and if removal is necessary. A floating floor for a 200 sq.ft. area will average anywhere from $4-$30 per sq.ft. and will take less than a day to install. If you are installing tile in a bathroom, consider installing tile with a rough or textured finish rather than glossy. Glossy surfaces can be slippery when wet. When ordering tile, it is important to purchase 10%-15% more than needed to account for any mistakes, breakage or future replacement that may be necessary. Installing large tiles in a smaller room can dominate the room, so they should be used only in larger rooms. In most states in the US, flooring professionals need to be licensed. It is important to get quotes from a minimum of 3 professionals before hiring one to do the job. That way you can ensure you aren’t paying for more than the job is worth. Ask about a timeline before the job is started so that you can work around your schedule. You can save money by purchasing the tile and other materials yourself, rather than getting charged extra by the installer. DIY tip: before beginning the tiling process, remove tiles from different boxes and mix them to ensure that the color differences don’t form a pattern in your floor. Start laying tile in the center of the floor and then work out toward the walls from that point. How do you tile a bathroom floor? The process of tiling a bathroom floor includes measuring the floor, preparing attaching the underlayment 5, and then deciding on a tile type (suitable for high traffic and non-slippery). Next decide on a tile layout, cut and place the tiles down. A thin layer of mortar 9 will need to be applied to the bottom of each tile before it is finally placed. Leave the tiles to dry for 24 hours before applying the grout 2. The grout 2 will also need to be left to dry for another 24 hours before any sealant or polish is applied. Where do you start laying floor tiles? When laying floor tiles, it is best to start in the center of the room. That way you can make your way outward and prevent having any tiny fractions on only one side of the room. How do you lay out a tile floor? Laying out a tile floor is a simple job done by a carpenter. The process includes preparing the substrate, laying out the pattern, cutting the tiles, applying the mastic and laying the tiles. How much does it cost to put in a new floor? The average cost to install tile flooring for a 200 sq.ft. area is $700-$2000. How much does it cost to install floors? The cost to install tile flooring for a 200 sq.ft. area is $700-$2000. How much does it cost to install tile per square foot? The labor cost to install tile per square foot averages from $4-$5 per square foot. How much do you charge to lay tile? The labor cost to install a tile averages between $4-$5 per square foot. How much does it cost to install tile flooring in my city? Cost to install tile flooring varies greatly by region (and even by zip code). To get free estimates from local contractors, please indicate yours. The cost guide has been remade, adding more information about the project, various options, and cost updates. The sections "Indoor vs outdoor tiles", "Textured vs smooth tiles", "Measurements," "Subfloor," "Characteristics," "Types," "Marble vs porcelain tile," "Installation and labor," "Sealing," "Removal of old flooring," and "Type of flooring depending on room" have been added and there is now more detailed information about the different options, possibilities, and price ranges for this project. For example, you can find a comparison of different types of tiles with their pros, cons, and costs. You can also find new tables with various tile characteristics, types of tiles, types of flooring based on room type, and their costs. The "Additional considerations" section now offers information about installation considerations, licenses, saving money, and DIY tips. A "FAQ" section has been added, where you can find other information that may not be found in other sections. 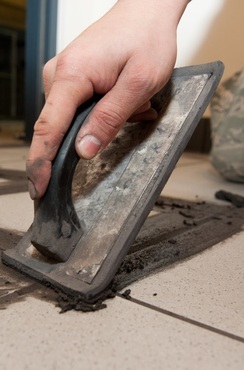 The upright surface, often made of tile, behind a kitchen counter, sink, or stove, that protects the wall from damage from splatter due to kitchen activities.